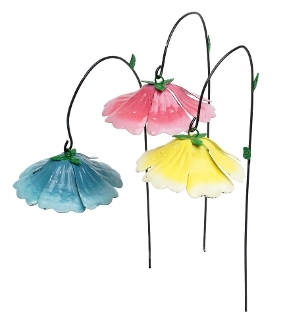 Hibiscus Umbrellas For Fairy Gardens (Options for Color Choice). 6.75" Tall. Choose from Drop Down Menu Your Color Choice.